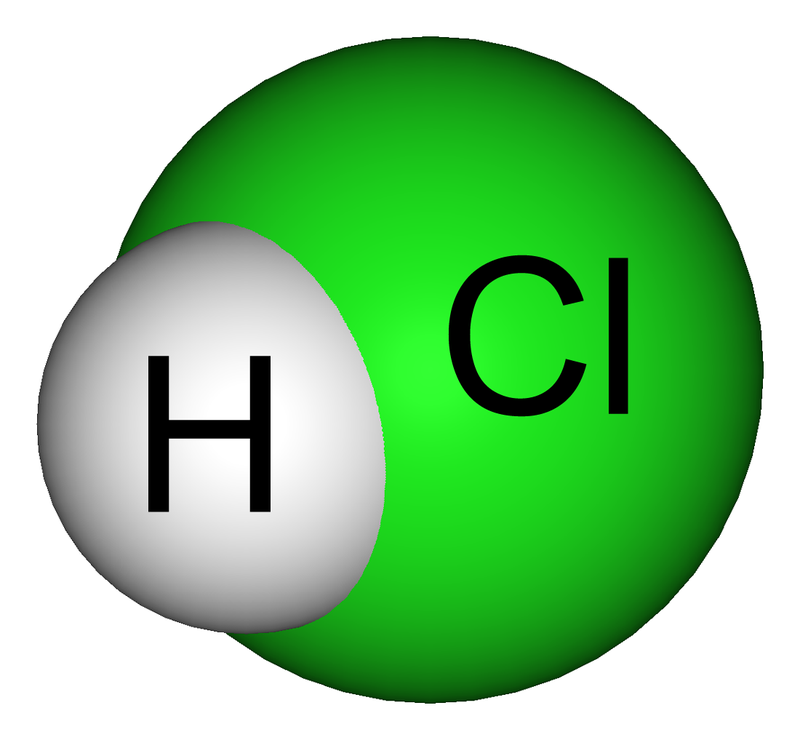 • "Hydrogen chloride and hydrochloric acid have some uses in common, and some that are different from each other. In both dry and liquid form, the largest single use of hydrogen chloride is in the synthesis of organic and inorganic chlorides. 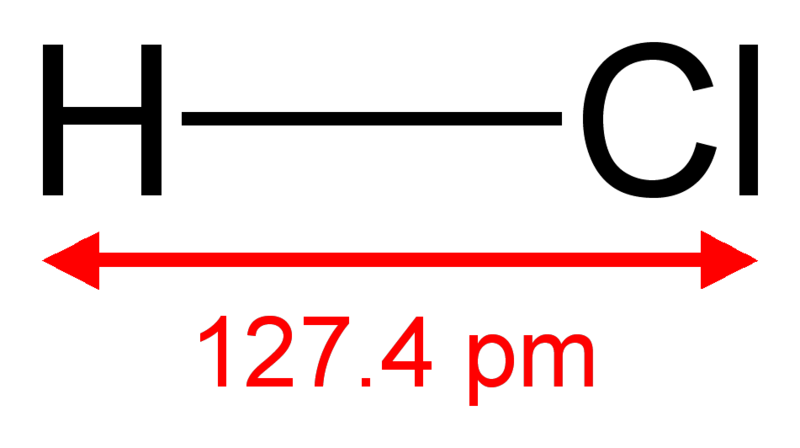 A large number of compounds important in commerce and industry contain chlorine, including most pesticides, many pharmaceuticals, and a number of polymeric products. • In the production of aluminum, titanium, and a number of other important metals. (1) - Ebbing, Darrell D. General Chemistry 3rd ed. ; Houghton Mifflin Company: Boston, MA, 1990; pp 93-94. (2) - Ebbing, Darrell D. General Chemistry 3rd ed. ; Houghton Mifflin Company: Boston, MA, 1990; p 94. (3) - Ebbing, Darrell D. General Chemistry 3rd ed. ; Houghton Mifflin Company: Boston, MA, 1990; p 94. (4) - Ebbing, Darrell D. General Chemistry 3rd ed. ; Houghton Mifflin Company: Boston, MA, 1990; p 94. (5) - Brownlee, Raymond B., Fuller, Robert W., and Whitsit, Jesse E. Elements of Chemistry; Allyn and Bacon: Boston, Massachusetts, 1959; pp 138-139. (6) - Whitten, Kenneth W., Davis, Raymond E., and Peck, M. Larry. General Chemistry 6th ed. ; Saunders College Publishing: Orlando, FL, 2000; p 950. (8) - Taber's Cyclopedic Medical Dictionary, 18th ed. ; F. A. David Company: Philadelphia, PA, 1997; p 21. (9) - Schlager, Neil, Weisblatt, Jayne, Newton, David E., and Montney, Charles B. Chemical Compounds Vol. 2; Thomson-Gale: Detroit, MI, 2006; pp 359-61. (10) - Lide, David R. CRC Handbook of Chemistry and Physics, 84th ed. ; CRC Press: Boca Raton, FL, 2003; p 4-60. (14) - Silberberg, Martin S. Chemistry: The Molecular Nature of Matter and Change 4th ed. ; McGraw-Hill: Boston, MA, 2006; p 128. (15) - Halka, Monica and Nordstrom, Brian. Metals & Metalloids; Infobase Publishing: New York, NY, 2011; p 14. (16) - Ebbing, Darrell D. General Chemistry 3rd ed. ; Houghton Mifflin Company: Boston, MA, 1990; p 119. (17) - Zumdahl, Steven and Zumdahl, Susan A. Chemistry 9th ed. ; Brooks/Cole: Belmont, CA, 2014; p 131. (18) - Kotz, John C. and Treichel, Paul. Chemistry & Chemical Reactivity 4th ed. ; Thomson Brooks/Cole: Belmont, CA, 1999; p 173. (19) - Zumdahl, Steven and Zumdahl, Susan A. Chemistry 9th ed. ; Brooks/Cole: Belmont, CA, 2014; p 133. (20) - Silberberg, Martin S. Chemistry: The Molecular Nature of Matter and Change 4th ed. ; McGraw-Hill: Boston, MA, 2006; p 127. (21) - Ebbing, Darrell D. General Chemistry 3rd ed. ; Houghton Mifflin Company: Boston, MA, 1990; p 185. (22) - Ebbing, Darrell D. General Chemistry 3rd ed. ; Houghton Mifflin Company: Boston, MA, 1990; p 209. (23) - Ebbing, Darrell D. General Chemistry 3rd ed. ; Houghton Mifflin Company: Boston, MA, 1990; p 340. (24) - Swaddle, T.W. Inorganic Chemistry; Academic Press: San Diego, 1997; p 125. (25) - Swaddle, T.W. Inorganic Chemistry; Academic Press: San Diego, 1997; p 279. (26) - Ebbing, Darrell D. General Chemistry 3rd ed. ; Houghton Mifflin Company: Boston, MA, 1990; p 94. (28) - Ebbing, Darrell D. General Chemistry 3rd ed. ; Houghton Mifflin Company: Boston, MA, 1990; p 117. (29) - Ebbing, Darrell D. General Chemistry 3rd ed. ; Houghton Mifflin Company: Boston, MA, 1990; p 90. (30) - Ebbing, Darrell D. General Chemistry 3rd ed. ; Houghton Mifflin Company: Boston, MA, 1990; pp 94, 181. (31) - Swaddle, T.W. Inorganic Chemistry; Academic Press: San Diego, 1997; p 225. (32) - Kotz, John C. and Treichel, Paul. Chemistry & Chemical Reactivity 4th ed. ; Thomson Brooks/Cole: Belmont, CA, 1999; p 165. (33) - Ebbing, Darrell D. General Chemistry 3rd ed. ; Houghton Mifflin Company: Boston, MA, 1990; p 185. (34) - Ebbing, Darrell D. General Chemistry 3rd ed. ; Houghton Mifflin Company: Boston, MA, 1990; p 91. (35) - Ebbing, Darrell D. General Chemistry 3rd ed. ; Houghton Mifflin Company: Boston, MA, 1990; p 87. (36) - Ebbing, Darrell D. General Chemistry 3rd ed. ; Houghton Mifflin Company: Boston, MA, 1990; p 92. (37) - Ebbing, Darrell D. General Chemistry 3rd ed. ; Houghton Mifflin Company: Boston, MA, 1990; p 93. (38) - Ebbing, Darrell D. General Chemistry 3rd ed. ; Houghton Mifflin Company: Boston, MA, 1990; pp 138, 197. (39) - Ebbing, Darrell D. General Chemistry 3rd ed. ; Houghton Mifflin Company: Boston, MA, 1990; pp 97, 181. (40) - Halka, Monica and Nordstrom, Brian. Metals & Metalloids; Infobase Publishing: New York, NY, 2011; pg. 61. (41) - Ebbing, Darrell D. General Chemistry 3rd ed. ; Houghton Mifflin Company: Boston, MA, 1990; p 185. (42) - Zumdahl, Steven and Zumdahl, Susan A. Chemistry 9th ed. ; Brooks/Cole: Belmont, CA, 2014; p 131. (43) - Halka, Monica and Nordstrom, Brian. Metals & Metalloids; Infobase Publishing: New York, NY, 2011; pg. 96. (44) - Swaddle, T.W. Inorganic Chemistry; Academic Press: San Diego, 1997; p 384. (45) - Swaddle, T.W. Inorganic Chemistry; Academic Press: San Diego, 1997; p 143. (46) - Swaddle, T.W. Inorganic Chemistry; Academic Press: San Diego, 1997; p 413. (47) - Halka, Monica and Nordstrom, Brian. Metals & Metalloids; Infobase Publishing: New York, NY, 2011; pg. 49. (48) - Ebbing, Darrell D. General Chemistry 3rd ed. ; Houghton Mifflin Company: Boston, MA, 1990; pp 75, 181, 184. (49) - Ebbing, Darrell D. General Chemistry 3rd ed. ; Houghton Mifflin Company: Boston, MA, 1990; p 185.